Comment: I would like to get an estimate for back steps of my rental property need to be repaired or replaced. There are no balusters and there are some rotted steps that need replaced. Comment: Replace top of railings on front porch but leave spindles and replace 7 boards on porch that are coming out. Now, for side porch, replace, wood railings going down, the steps, and the 2 sides that attach to the house w/ slats. Lastly, the back deck, there are about 8 pieces of wood that need to be removed and replaced. Also, 1 step to the back deck needs to be replaced. Comment: I have a half plaster wall between my dining & living room that I want to frame the top half & put in glass panes to look like a window to provide privacy & let light in. Meriden Carpenters are rated 4.65 out of 5 based on 221 reviews of 24 pros. 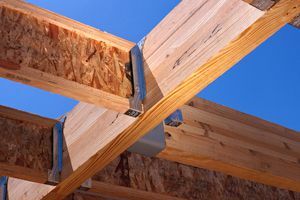 Not Looking for Carpenters Contractors in Meriden, CT?